James Bond may be the central character to the whole 007 franchise but there are also many regular contributing characters that make the movies so successful. You can name a clear-cut ” Bond family” and arguably, at the “Head” of this family is the head of MI6, M.
M has a very particular role in the Bond franchise. To begin with, M is the person that gives Bond his missions. After the initial pre-credit scene, the first act usually comprises of M handing James the first bit of thread that will lead him on his way. This isn’t a job to be taken lightly though. The more complicated the story, the more emphasis is placed on this necessary scene and it can’t just be lots of dull exposition, not this early in the film. This is where the role of M comes into it’s own. As well as a story-telling device, M is also tasked with highlighting Bond’s disdain for authority. 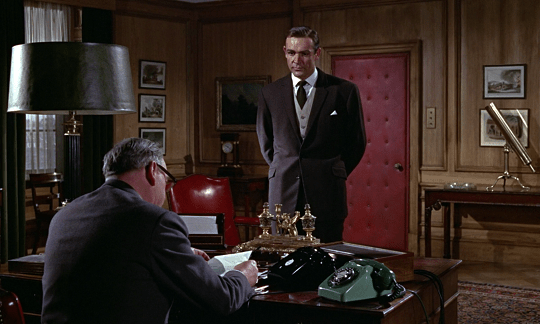 Bond clearly respects M and will follow his orders but he does begrudgingly, with excuses, cheeky remarks and a little bit flirtatiously if a woman is in the room. M isn’t the bad guy or a chastising principle but is also a counter-balance to Bond and a pretty important and effective way to get some of 007’s character traits across quite quickly. As the franchise has progressed, so has M’s character. 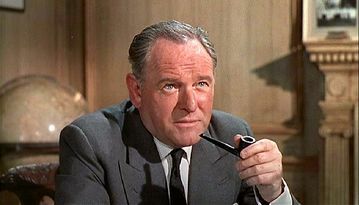 Impressively, from Dr No until Moonraker, M was played by Bernard Lee. He was as synonymous with the Bond franchise as the main character was, coupled with Q and Moneypenny as a key part of the “Bond Family.” His role did begin to develop further, he would join Bond to add more orders halfway through missions or be the bookend of the movie, offering 007 a chance for a last line quip that offended the Head of MI6. 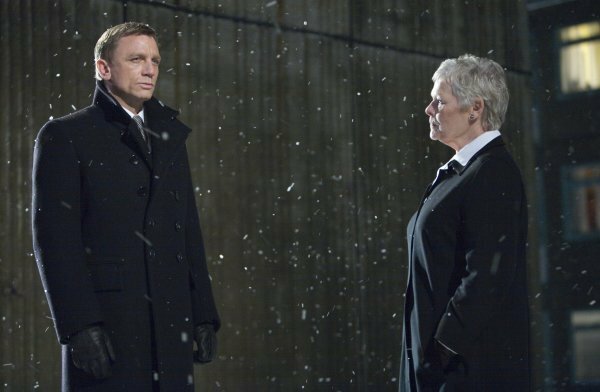 For a brief time he was replaced by Robert Brown and the character remained largely unchanged but it was with the introduction of Judi Dench to the franchise that M became much more to Bond. M was a woman! Bond, the famous womaniser would be taking orders from a woman. M also didn’t “like” Bond, at least not in their first encounter which is cold, snappy and sets the new incarnation of the character at sharp odds with our hero. What then develops is one of the better stories told over the franchise. From Goldeneye through to Skyfall, M and Bond begin to form a closer relationship. It is a very strict respect, with M entrusting Bond with tough, top missions and even, for the first time, being in the firing line with him. It is easy to forget, particularly with the huge story for the character in Skyfall, that M was out in the field with Bond in The World is Not Enough and that first sign of a much deeper connection emerged. It would never be anything romantic, Moneypenny fills that role to some extent, and I don’t want to call it Mother/Son but it seems to be the closest person to family that Bond interacts with – and that includes his own wife! Not wanting to spoil Skyfall but there is a new M and it is a very good choice and for once, we get to see the introduction and development of the character from the beginning. How important a role Ralph Fiennes will play in Spectre is yet to be seen but to cast someone that good, and also develop the character this far in the most recent films, it would be waste to push M back into purely exposition and mockery for Bond. Overall, M is as important a character to the Bond films as Bond himself. He hands out the missions, gives Bond an authority figure to push against and in the most recent films, a family figure to save. Hopefully the last aspect will be continued to some extent. It will be interesting to see how this character develops. I love M. He’s actually called Miles, but the casting of Judi in GoldenEye was brilliant, and since then she’s been a bigger and bigger part of the stories. Like you, I’m REALLY looking forward to seeing Feinnes in the role, I think he’ll play it more straight, like Bernard. It will be good for it to go back to something a little more traditional. The roles got slightly too close I think.